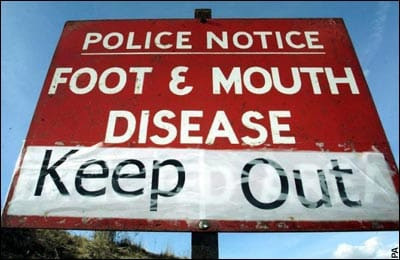 As much as I'd like to write about the Cheltenham Gold Cup 2001, that could prove difficult as it didn't happen, due to falling within the foot and mouth disease exclusion zone. The boundary of an infected area reached a mile from the course and so the Festival was called off. It's the first time since World War 2 that the Cheltenham Gold Cup didn't take place. The 2000 Cheltenham Gold Cup, sponsored by the Tote, featured 12 runners and, on unseasonably fast ground, was won in a time of 6 minutes 30.3 seconds, marginally faster than the previous record set by shock 100/1 winner Norton’s Coin in 1990. Defending champion See More Business started 9/4 favourite to become the first horse since L’Escargot in 1971 to win the Cheltenham Gold Cup in consecutive years. Florida Pearl, third behind See More Business in 1999, and Looks Like Trouble, winner of the Royal & SunAlliance Chase the previous year, shared second favouritism at 9/2, just ahead of Gloria Victis, winner of the Feltham Novices’ Chase at Kempton the previous December, at 13/2. In fact, it was the 6-year-old novice Gloria Victis, ridden by A.P. McCoy, who made most of the running, although at the third last fence he started to look a “sitting duck”, with his fellow markets leaders all poised to deliver their challenges. Tragically, Gloria Victis took a crashing fall at the second last, fatally injuring himself in the process, as Florida Pearl, ridden by Paul Carberry, quickened, albeit briefly, into the lead. However, Looks Like Trouble, ridden by Richard Johnson, had continued to race prominently since surviving a monumental blunder just before halfway and jumped ahead at the final fence. Florida Pearl held every chance, but couldn’t match Looks Like Trouble for pace in the closing stages, eventually going down by 5 lengths. Strong Promise, ridden by Robert Thornton, stayed on well under pressure to finish third, just a neck behind, with See More Business only three-quarters of a length away in fourth.